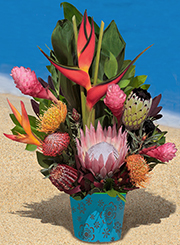 Send Hawaiian Tropical Flower and Maui protea arrangements anywhere in the USA and parts of Canada. 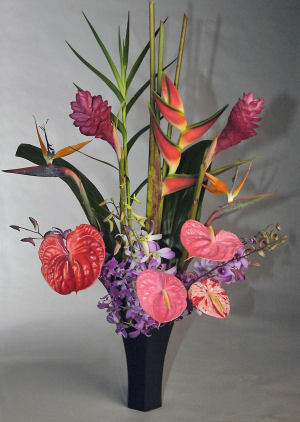 Order it to accompany your tropical gift. 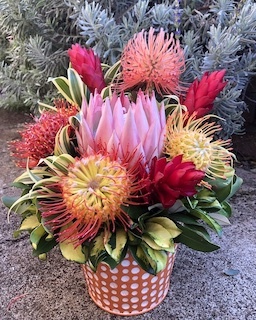 All of our Protea & Tropical arrangements arrive arranged in containers as pictured. 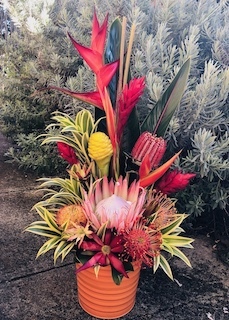 Our growers mix of flowers varies with the seasons but you will always be sending or receiving an arrangement of the same quality and value. 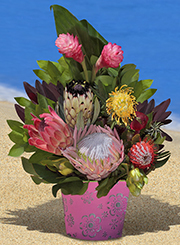 The all protea arrangements can be dried as is, beautifully and naturally, making your gift an everlasting keepsake. 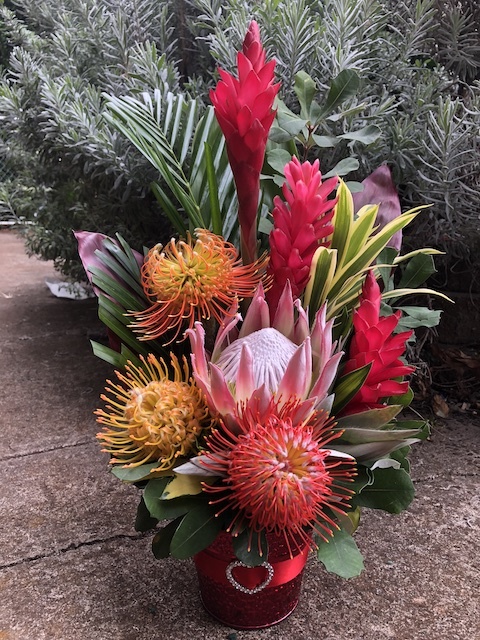 Hawaiian Protea are native to South Africa and Australia but grow especially well in the Kula area of Upcountry Maui. 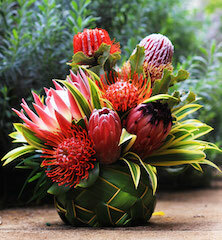 The Protea family of flowers is named for the Greek God Proteus, who could change his appearance at will. 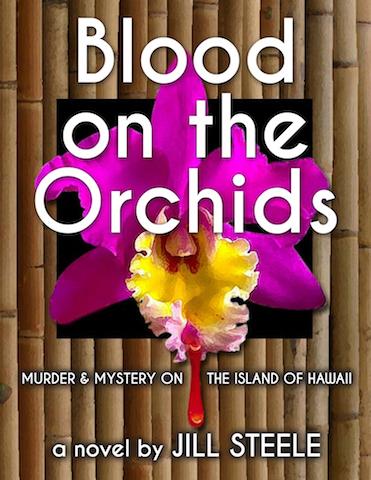 There are over 1400 different varieties, with strong names like King, Queen or Duchess. All Proteas share one thing in common. They are very long lasting.